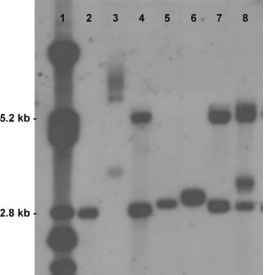 primer extension using Taq DNA polymerase. With its numerous formats, ARMS-PCR offers unparalleled flexibility in the design of genotyping assays. Major initial considerations guiding the design process itself include the number and type of genetic variation(s) under study; available equipment, personnel, and expertise in primer design; desired sample throughput; and cost. Once a suitable ARMS-PCR format has been selected, the issue of allele-specific amplicon detection should be separately addressed (reviewed elsewhere in this volume). The design process is complete following customization of the assay to the polymorphisms of interest (primer design), optimization of PCR conditions, and troubleshooting of any problems. For all its merits, ARMS-PCR is subject to the same limitations that apply to conventional PCR. Problems such as mispriming and primer dimer formation can be minimized by using suitable software for basic primer design. Complications in basic primer design arising from polymorphisms lying close to the SNP of interest can be overcome by strategically incorporating deoxyinosine (dl) residues into the primer sequence.